Bold Radio is for the well-rounded, self-aware person who's always looking for the next thing to sink their teeth into. Be Bold! Stay Bold! Tune in to BOLD Biz Chats for BOLD Biz Owners where the Boldest of the Bold share their truths about Life, Business and no quitting here! The real guts of what it takes! Career Cravings is a straight-talking and humorous insight generation machine for your career. Dev Ramcharan, Meghan Reid and their guests bring you the best of their experience and expertise, sharing the kind of thinking that you need to help you sharpen your focus and transform your career. If you CRAVE a better and more satisfying ... Más informaciones CAREER, this radio show is for you. Dev Ramcharan focuses on individual and organizational change. His services include coaching in Career Transition and Optimiation, Emotional Intelligence and Conflict Management and High Performance Team training. Dev is a Certified Project Management Professional, a Prosci Certified Change Management Practitioner, a Certified Career Transition Coach, a Minds at Work Process Facilitator, Emotional Intelligence Assessor, Trainer and Coach. Dev is the founder and lead coach for AROUCA Consulting and Career Coaching and serves on three not-for-profit Boards of Directors. Meghan is a Registered Psychologist who specializes in Career and Workplace Psychology. She provides services at both the individual and organizational levels. Through her work with hundreds of clients, Meghan has seen the impacts, both positive and negative, that a career can have on an individual’s life. She makes it her mission to help others find career fulfillment through making strategic and informed decisions, often pertaining to ideal career fit. Currently, Meghan is leading the expansion of Canada Career Counselling into the Toronto market and is dipping her toes into the world of online radio as a co-host of Career Cravings. discoverHER radio, celebrating and promoting women who influence the world. Join us as we highlight women across the Santa Cruz, California community and beyond. Each and every week we offer information, inspiration and motivation for women around the world. We talk about the good and the bad of business, life, passion and purpose. Some ... Más informaciones days will be transformational, some will be informative and some will be just good ole’ fun. Monica Karst is a community influencer, who started the Santa Cruz Socialites and discoverHER.life, a platform to celebrate and promote women. As a business advisor Monica is here to help women entrepreneurs create influence with their brand. She helps sift through all of the online and social media confusion to give your brand the best chance to be loved. She wants you and your business at the heart of the action, show you how to get to know your community better and delight them with your interactions. A down & dirty show, controversy, raw & real conversations on life issues! Humor, going over the top on this show! Encouraging Leadership: Conversations to mobilize today’s women leaders makes the wisdom of today’s leaders accessible to women wishing to develop and polish leadership skills for application in business and in life. Accomplished women and men share their experience and insights in conversations intended to inspire, support and mobilize ... Más informaciones exceptional women leaders. Anne Miner is a best-selling author, international speaker, entrepreneur and visionary leader with a reputation for seeing a “better way”, and bringing it to life. As President and Co-Founder of the Acacia Institute, Anne is creating exceptional women leaders for 21st century organizations. With over 30 years of leadership experience, and just as many observing women inside corporations, Anne has a unique perspective on women leaders in corporate North America. Her leadership in the International Women’s Forum, Canada, YWCA and Oxford Women in Networking demonstrate her skill in charting a path for women and accelerating their advancement towards their unique potential. Hot Mamas is all about empowering and equipping women with the motivation and tools they need to live well at any age. We will discuss women’s needs and issues ranging from fitness, nutrition, yoga, weight training, natural remedies to combat hormone issues and weight gain, all to inspire and motivate women to live their best life. This ... Más informaciones is a fun and light-hearted look at life as a woman, full of laughs while discussing some often difficult subjects. Join us! Deirdre Leighton currently lives in Calgary, Alberta, Canada and is an Advanced Reiki Practitioner, UCM Minister and Spiritual Counselor Energy Balancing Practitioner. Since an early age Deirdre has been fascinated with the healing powers of the Ancients, she has trained with gifted intuitive and adept healer/energy worker Dr. Richard Jelusich; Mayan Shaman Miguel Angel Vergara Calleros; Spiritual Shaman Doug Horne. She believes we all have the power within us to not only heal ourselves but also to heal the World. As Dr. Alberto Villoldo writes in Shaman, Healer, Sage “…Through these fibers of light the wisdom and teachings of time past and future flow.” Deirdre strives to advance her skills through various courses and teachings reflecting on the human ‘Soul’ and its needs. The CEOs of Bold Radio Station, Line Brunet & Kim Boudreau Smith, talk about Radio & Podcasting, the largest medium today! 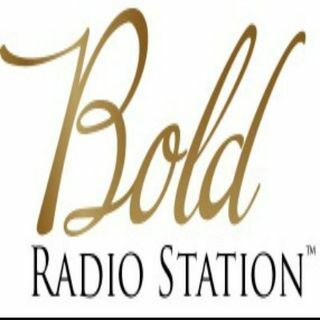 Learn about broadcasting and what we've got going on at Bold Radio. Meant for More: The Seeker’s Guide to Success is aimed at inspiring and empowering people to aim higher in their lives and to empower them to take the necessary steps to move forward in their lives to achieve extraordinary results. Kristin Lloyd has been creating outstanding results for individuals, ... Más informaciones couples, and organizations for over 10 years as a highly accomplished psychotherapist, transformational coach, college educator, and consultant. Through her invigorating and transformative facilitation skills, Kristin has been guiding individuals, couples, and executives to achieve dramatic breakthroughs in mindset and motivation, self-confidence, productivity, commitment, interpersonal communication, stress reduction, and aligning with their soul's purpose as well as reinventing one's future for success. As a life alignment specialist, soul alchemist and mindset mentor, Kristin works with each of her clients as a strategist and catalyst for personal and professional growth. Kristin empowers frustrated high-achieving individuals to break through limiting beliefs which keep them trapped in mediocrity by transforming their mindset and habits practically and spiritually so they can live the extraordinary life they know they been divinely destined for. Her natural gifts of merging the practical and the esoteric are the cornerstone of her work with clients and illustrates her uniqueness in achieving magical results. Kristin is also a PhD candidate in Psychology, a certified coach, a prolific writer and currently a contributor for The Huffington Post. The number one hangout for aspiring and seasoned speakers and communicators that demystifies the world of professional speaking through showcasing speakers, speaking coaches and agents who provide tools, encouragement teaching and resources. As a business woman and a single mom with a love for adventure ... Más informaciones travel, Alison began speaking 3 years ago and discovered a love for those hot topic; the ones people know about but don’t talk about. It is her mission is to challenge people to think about what they think about and question it rather than just accept the status quo. Speaking provides a great outlet for generating discussion and personal growth. We often take our beliefs for granted without ever questioning them and in doing so do an injustice to our beliefs, those who share our beliefs and society as a whole. A Call in show for people seeking the truth, advice or to have an expert guide them to see their situation in a new way that will allow them to find the lesson and use it for forward momentum in their life. A show that will help listeners rid their life of the blocks that keep them stuck and playing small. A show that will connect the ... Más informaciones listeners to the desire for positive change in their lives. An interactive call-in radio show where fun and transformation coexist. Sharmin Wengender is an RN, a yoga alliance RYT 200hr, a certified wellness and life coach, a wife, the mother of three daughters, an author, motivational speaker and owner and founder of hOMe Studios. A space she continues to evolve as a center for mental, spiritual, personal and physical development. Sharmin’s ability to connect people to the best version of themself and to guide them to the life they were meant to live has enabled her to impact the lives of men, women, teens and children nationwide. WE ARE BEAUTIFUL TALK SHOW!